It’s Christmas time! 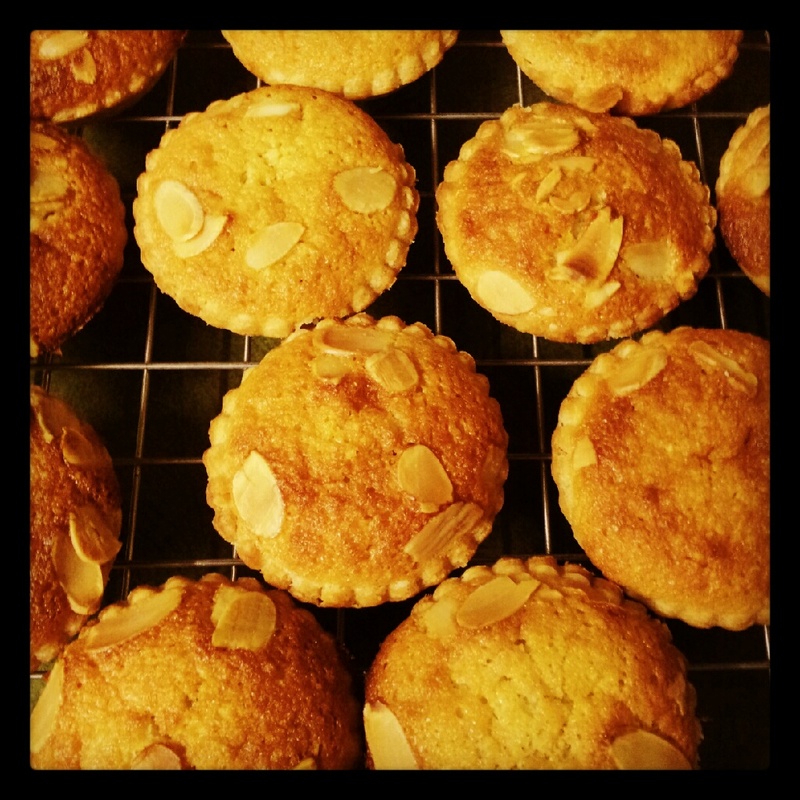 That means mince pies and not just any mince pies…frangipane topped mince pies! I know. 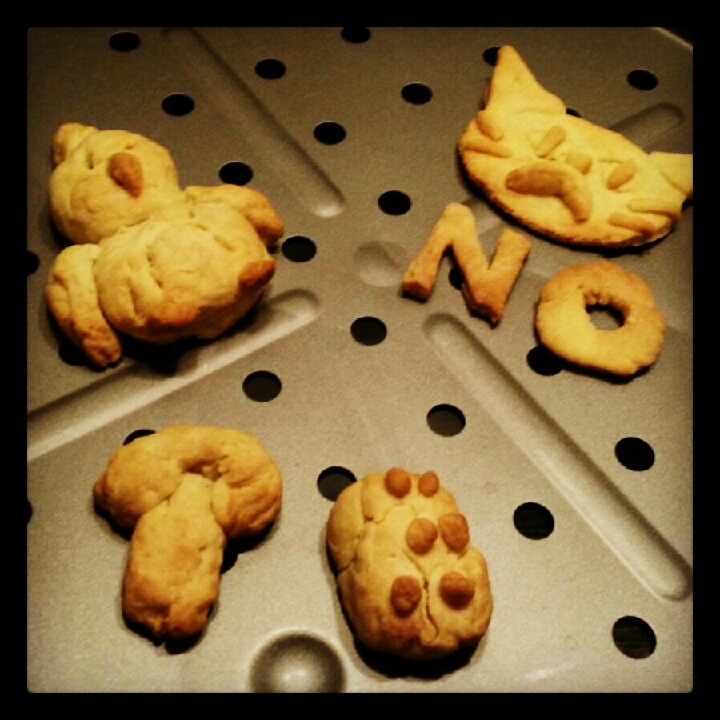 I visited my best mate at the weekend and, entering into the Christmas spirit, we decided to bake a batch of these. Turns out we didn’t have a cupcake tin and no shops in Norwich sell them either so after roaming the streets and scouring all the shops for said tins we conceded and piled all the ingredients into a large cake tin and made a tart which we consumed in two nights! It was lovely and gooey from the oven and once cooled, was even better the next day. The flavours of the almond and spice really coe through when cool and the ground almonds and luxery fruit filling keep everything moist in the crisp pastry shell. 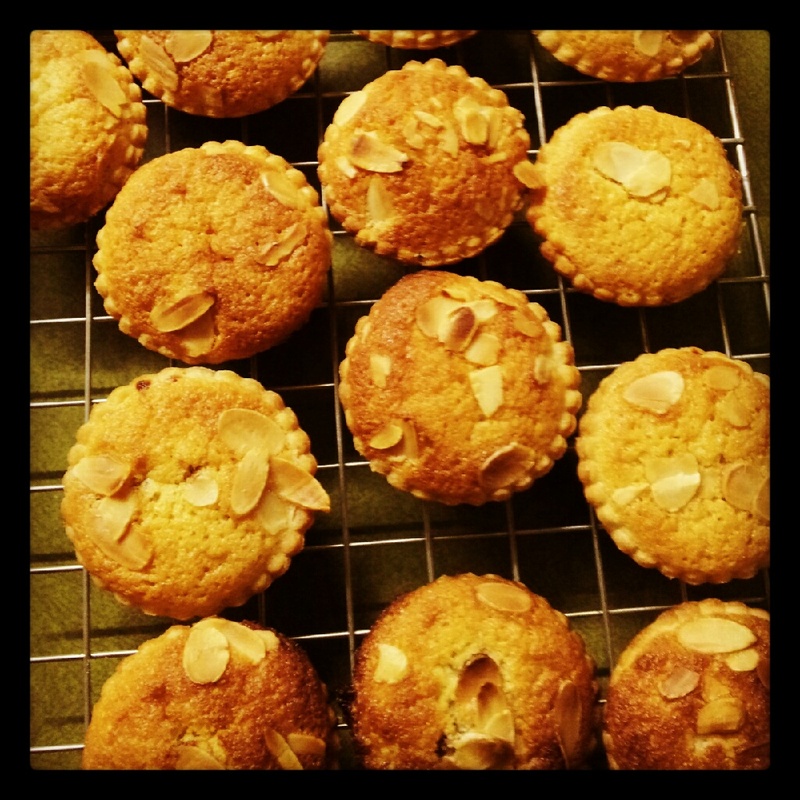 I returned home to my family the next day raving about how tasty the tart was and my mum had me baking another batch for her within minutes. 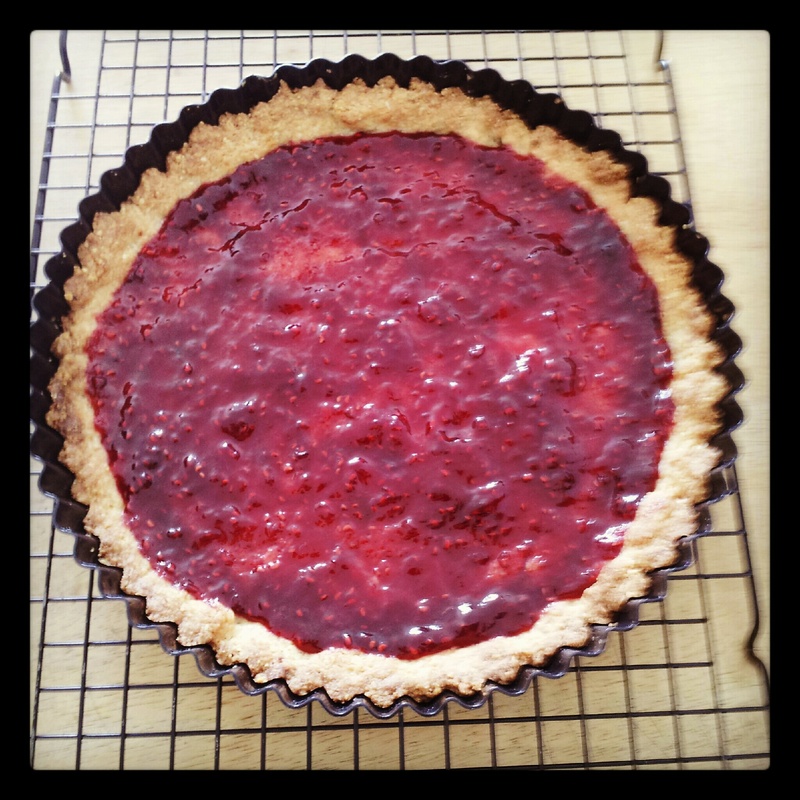 I have included the instructions for making both individual tarts and a large tart so make your decision and get baking! Makes 18 or 1 large tart. To make the pastry, measure the flour, butter and icing sugar into a mixing bowl, then cut with a metal knife until the mixture resembles breadcrumbs. Pour in the beaten egg and incorporate until the dough starts to form a ball. Knead lightly, wrap and chill for about 30 minutes if the pastry is not quite firm enough to roll out. Preheat the oven to 200C/fan 180C. 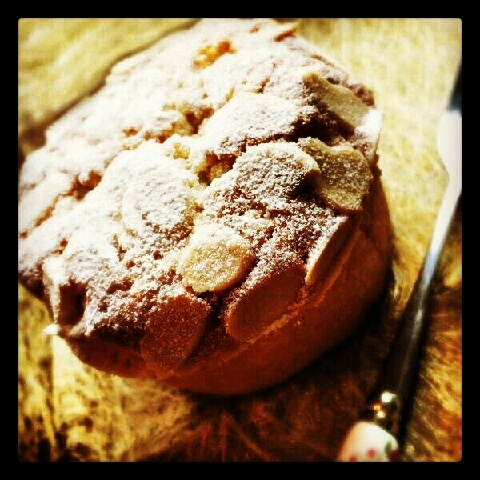 To make the frangipane, put the butter and sugar into the unwashed processor and blend until soft and creamy. Scrape down the sides, add the eggs and continue to process. Don’t worry if the mixture looks curdled at this stage. Add the ground almonds, flour and almond extract, and mix briefly. Roll the pastry out thinly (handling as little as possible) on a lightly floured work surface and cut into 18 circles. Use to line the tins. 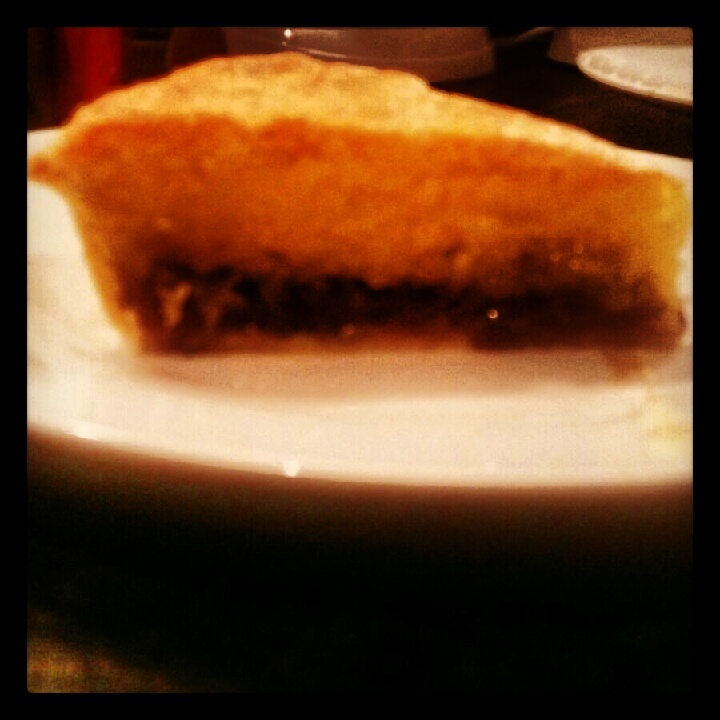 Spoon a teaspoon of mincemeat into each tartlet and top with the frangipane mixture. There is no need to spread the mixture flat as it will level out in the oven (but do not overfill the tins). 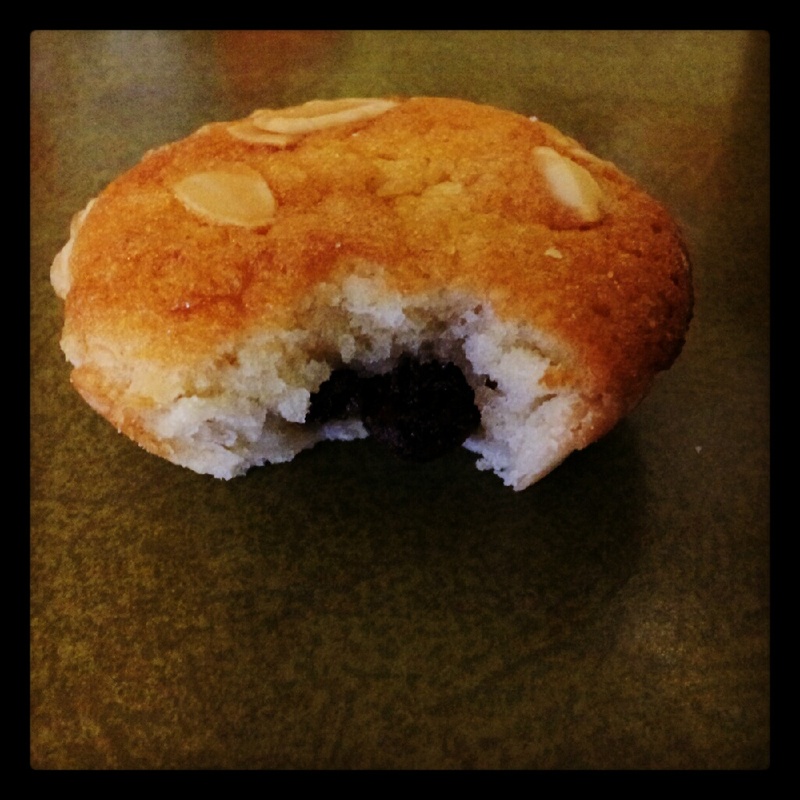 Sprinkle a few flaked almonds on top. Bake in the preheated oven for 15-17 minutes, watching carefully. Remove from the tins and allow to cool on a wire rack. VARIATION: If you want to make a large tart, you can use the exact quantity above to fill a 20-23cm lcake tin, which will take about 25-30 minutes in the preheated oven. 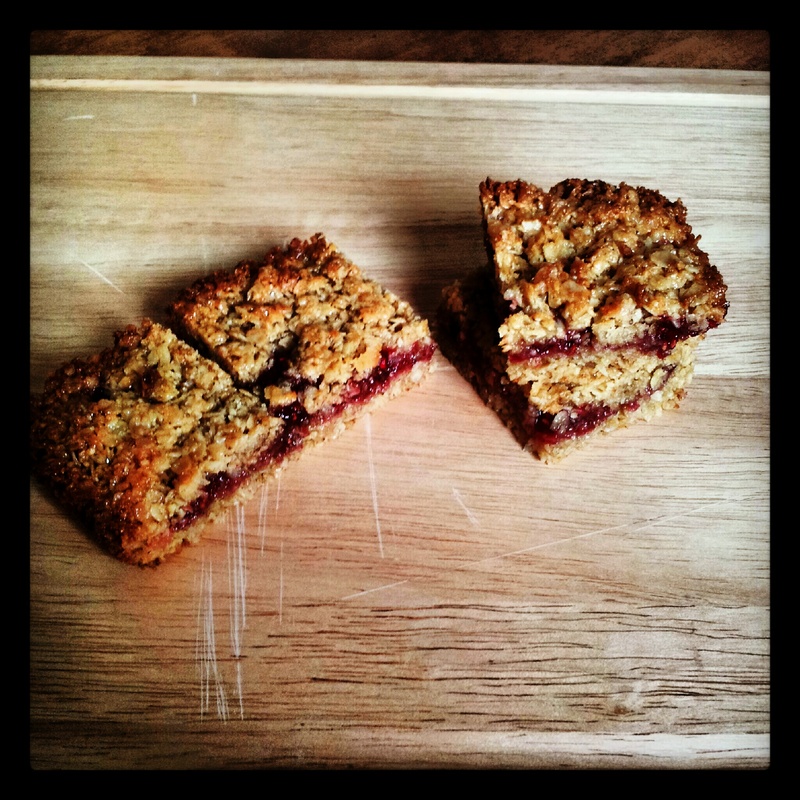 Yet another basic recipe with store cupboard ingredients that tastes absolutely amazing. Don’t be scared of using lard. It gives a wonderful crisp finish to the bake. I also recommend using almond extract. It works really well with the little buttery bakes which, as their name states, melt away when you bite. Preheat the oven to 180C. Grease 2 baking sheets. Cream together the butter or margarine, lard and sugar then gradually beat in the egg and vanilla or almond extract. Stir the flour into the beaten mix then roll into 16-20 small balls in your hands. Place the balls, spaced slightly apart, on the prepared baking sheets. 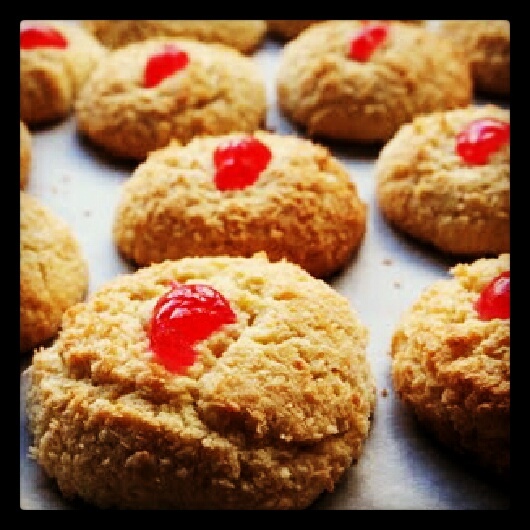 Place a piece of cherry on top of each and bake for 15-20 minutes until lightly browned. Allow the cookies to cool for a few minutes before transferring to a wire rack to cool completely. In case you hadn’t already gathered from looking through my blog, I like lemon curd! Here is another recipe for the wonderful stuff incorporated into a sweet, sticky, nutty cake encased in a rich, buttery pastry case that is the perfect bite-size to enjoy with a brew. Heat oven to 180C. To make the pastry, place the butter and lemon zest in a food processor and blitz until soft. Sieve in the icing sugar and blitz again until light and creamy. Mix in the egg yolk with 1 tbsp water, then add in the flour until it’s just combined. On a lightly floured surface, bring the pastry together into a ball, then wrap in cling film and flatten lightly to form a disc. Chill in the fridge for 30 mins. Roll out the pastry and cut out 12 rounds with a pastry cutter. Line a 12 hole cupcake tin with the circles. Put in the fridge while making the filling. To make the filling, beat together the lemon zest, butter and caster sugar until light and creamy. Add the eggs, one at a time, including a spoonful of the ground almonds with each addition. When all the egg has been added, mix in the remaining ground almonds and flour. Spread the lemon curd into the pastry cases. Spoon over the filling and smooth over gently. The tarts will be full to the top, which is fine. 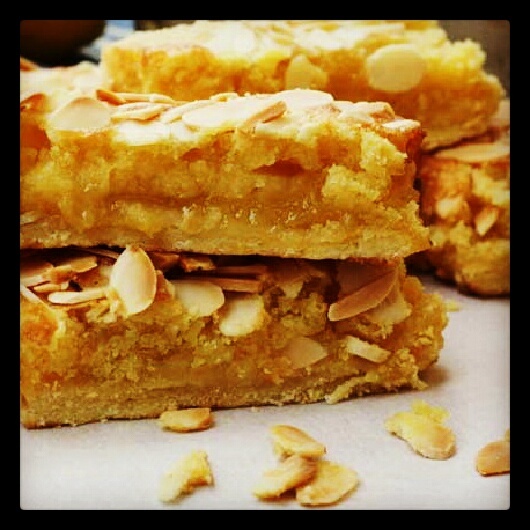 Scatter over the flaked almonds, sit tarts on a baking tray and bake for 15-20 minutes until lightly golden. 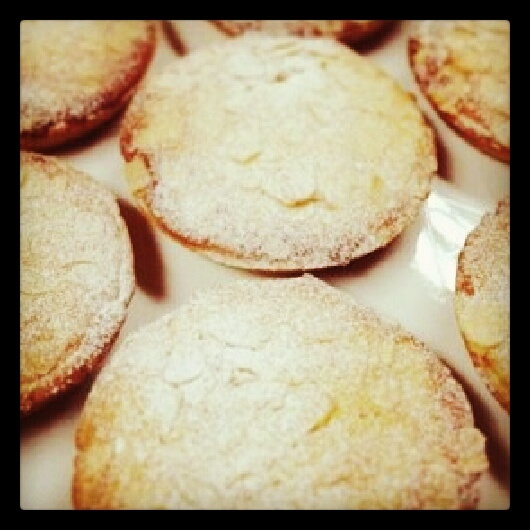 Remove from the tin and serve warm or cool, dusted with icing sugar. 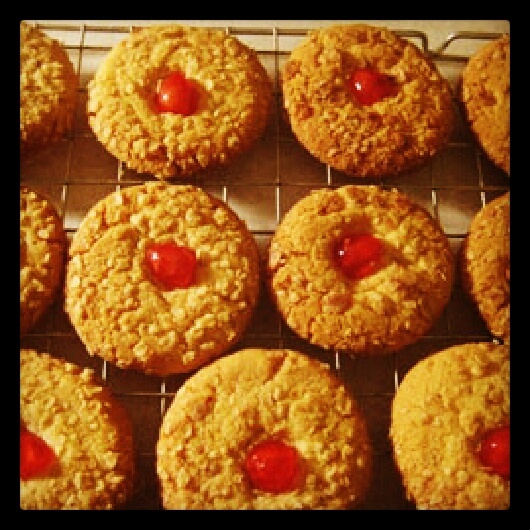 As you can see from the final picture, this mix can also be used to make transportable little Bakewell slices. Just place the ingredients into a greased and lined 20cm x 20cm baking tin and bake as instructed. Cut into buttery little pieces, this cross between a tart and a cookie crumbles and then melts away as you eat it. Preheat the oven to 200ºC. 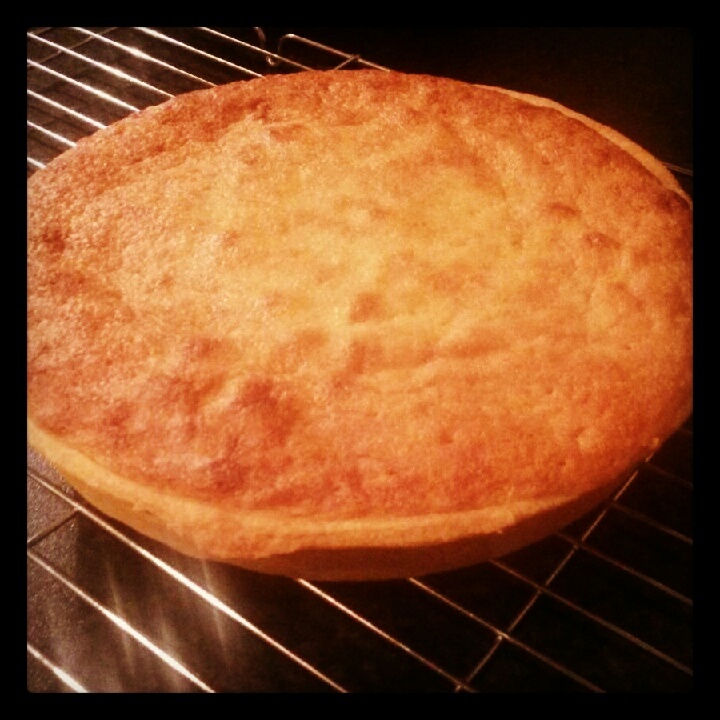 Butter a 9-inch dark-coloured tart tin. Add the almonds, flour, sugar and salt to a mixing bowl. Rub the butter into the flour mix until small crumbs form then add the egg yolk and almond extract. Mix with a metal spoon until the mixture starts to come together in small clumps. Turn the pastry into the prepared tin. It may look crumbly but this is fine. With your hands pat it out to evenly cover the bottom of the tin. Give the tart a standing rim by nudging the dough up the sides of the pan by 1/2 inch. Don’t worry if it looks a little ragged. Bake the crust in the centre of the oven for 10 minutes, or until its edges are golden and the centre is starting to colour. The rim will sink down a little which is fine. Remove the tin from the oven and turn the heat up to 240ºC. 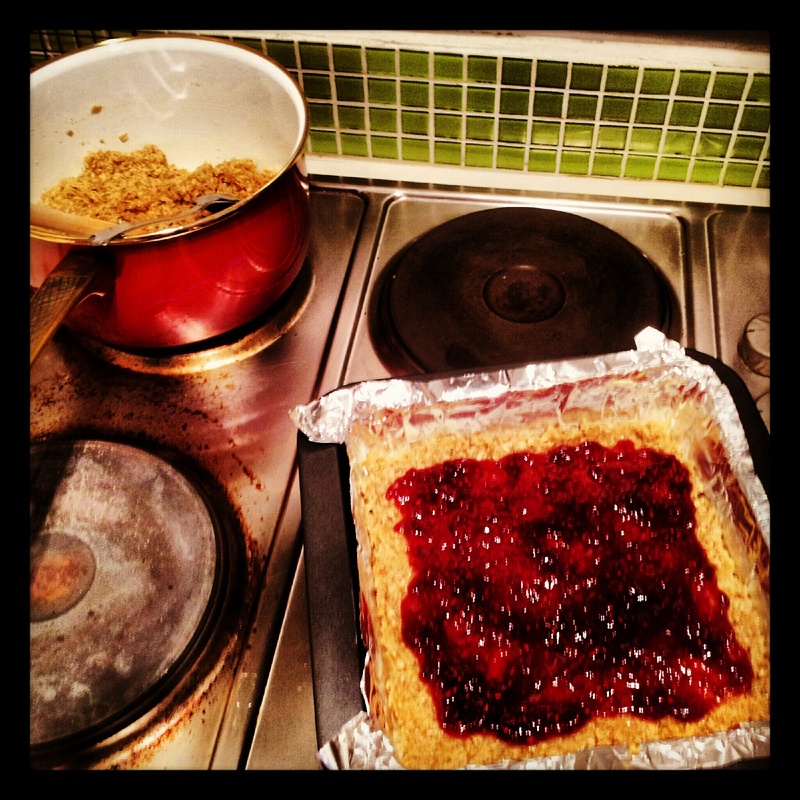 Carefully spread the jam over the tart and return it to the oven for another 5 to 10 minutes or until the jam is bubbly. Cool the tart on a wire rack, slice it into wedges and serve. A great alternative to a Christmas cake, this cherry and marzipan cake still delivers wonderful Christmas flavours without the hassle of feeding a fruit cake for weeks. 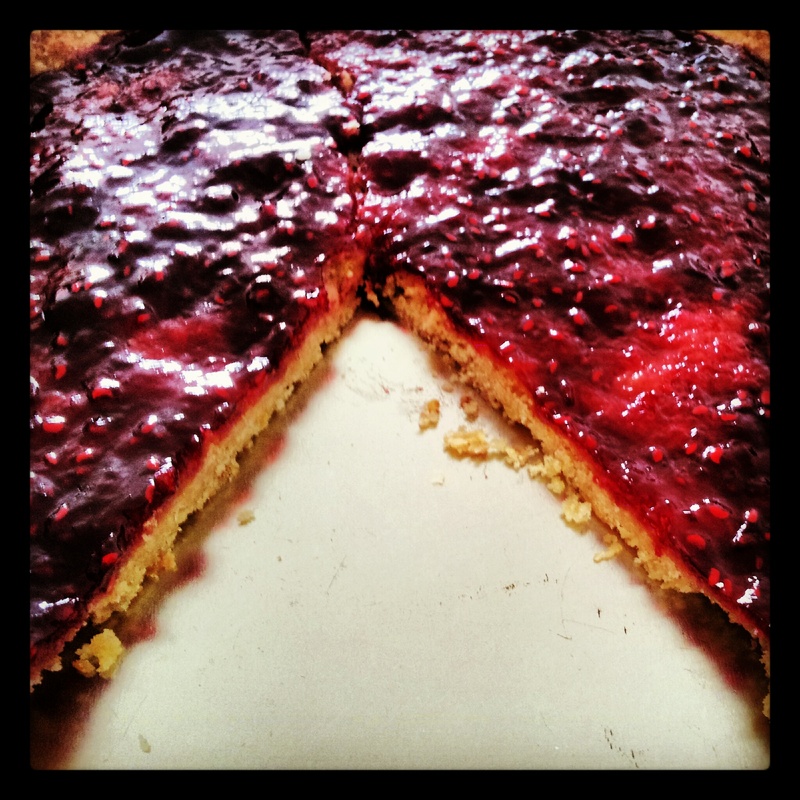 The marzipan layer is not coating the cake but runs through the middle and the cherries are cut really chunky to deliver big bursts of fruit in a light frangipane sponge. I had full intentions of picturing this cake whole but some certain family members (everyone) just couldn’t help themselves as it was cooling and dug right in. I can’t blame them though. It does smell awesome as it bakes and tastes pretty special too. Line and grease a deep 8-inch cake tin with greaseproof paper and margarine. Preheat the oven to 160C. In a large mixing bowl, beat the margarine until soft. Add the caster sugar and beat until smooth and fluffy. Beat in the eggs one at a time until fully incorporated then add the flour a third at a time and mix together well. 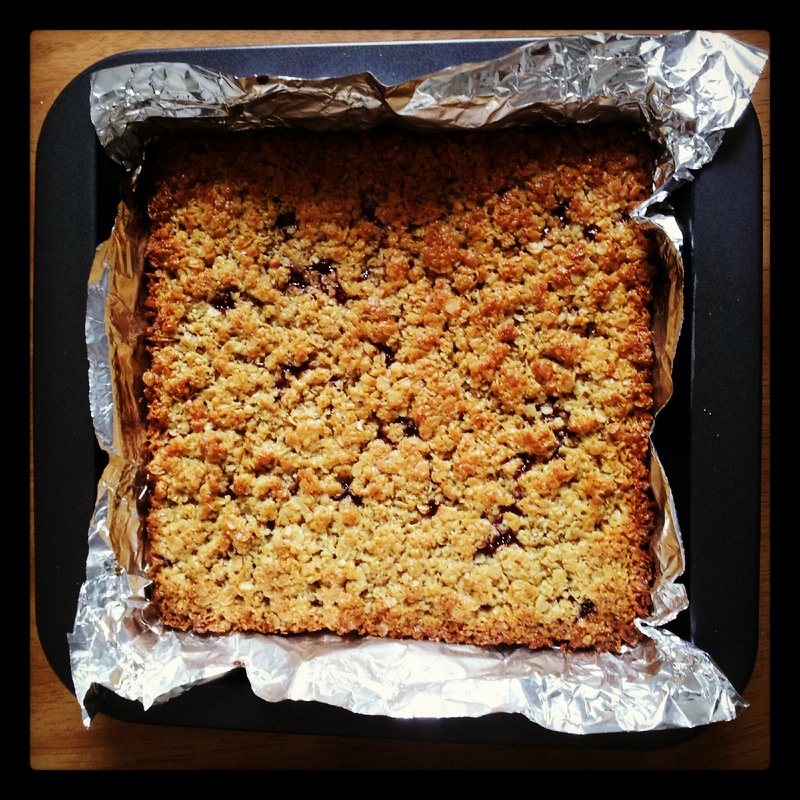 Fold in the ground almonds, cherries and almond extract then spoon half of the mix into the prepared tin and level out with a spoon. Roll out the marzipan to a 7 ½ inch round. Dust with icing sugar if it begins to stick and then place this on top of the first cake layer in the tin. Add the remaining cake batter over the marzipan. Sprinkle with ground almonds and place in the preheated oven for 1 hour 30 minutes. Cover the cake with foil after the first hour to prevent the top over-browning. The cake is ready when a skewer inserted in the middle comes out clean or with a slight crumb. Remember though that there is a layer of marzipan running through the middle so don’t mistake this as underdone cake batter. Remove from the oven, leave for 20 minutes in the tin then turn out onto a wire rack to cool completely. Sprinkle with icing sugar if you like. 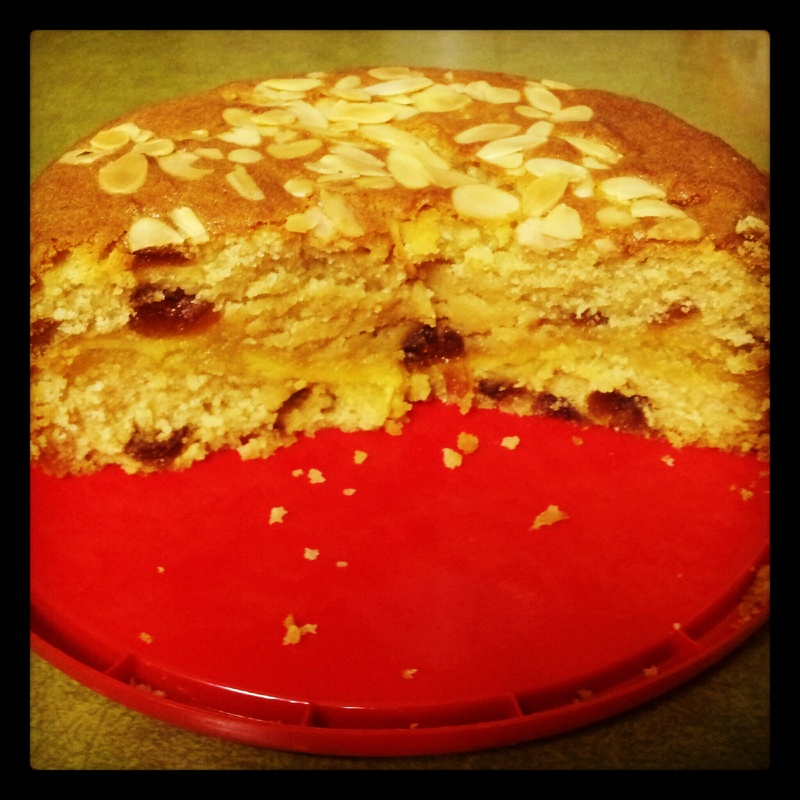 The nuts in the cake keep it moist for a few days as do the cherries and the marzipan layer.